The basis of professional work of the company "FC "Groups" is the competence of our employees and compliance with all regulations and laws of the Russian Federation.The search of foreign suppliers or buyers. Negotiations with future partners. Preparation of a draft international contract. The choice of the optimum scheme of delivery of the products. Development of optimal assortment of goods. The selection and harmonization of HS codes with the customs authorities. The calculation of production costs for the buyer. The formation of a complete plan of action and costs which need to be made when organizing the international carriage of goods. "FC "Group" has established itself as a professional market participant and carries out a full complex of customs services as well as services in the field of integrated logistics. Honest work, constant development and striving to be the best, allows you to FC Group to be an Expert in matters of foreign trade for their clients. 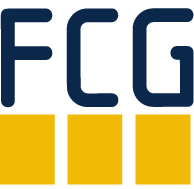 FC Group is a professional services in international transport and freight forwarding, as well as provides the latest information according to Your requests! Individual approach to each client and reliable cooperation are the main principles of our work! "FC "Group" has established itself as a professional market participant and carries out a full complex of customs services as well as services in the field of integrated logistics. Honest work, constant development and striving to be the best, allows you to FC Group to be an Expert in matters of foreign trade for their clients. FC Group is a professional services in international transport and freight forwarding, as well as provides the latest information according to Your requests! Individual approach to each client and reliable cooperation are the main principles of our work!Honest work, constant development and striving to be the best, allows us to be experts in matters of foreign trade for their clients. We are always open for Your questions and ready to provide the necessary and relevant information 24 hours a day, 7 days a week! Individual approach to each customer and partnership relations are the main principles of our organization!